A few weeks ago we were privileged to witness one of the finest evenings in the life of Wolfgang Amadeus Mozart, with the grand premiere of the critical and commercial hit, Don Giovanni. Now we join the legendary composer in the last hours of his life, a time that has since been dramatised and mythologised in fiction. Mozart visited Prague in 1791 to oversee production on his new opera, La Clemenza di Tito. Whilst there he fell ill, becoming lethargic and weak though he continued to write and perform, refusing to allow his ailing health to slow him down. The opera was a success and Mozart returned home to Vienna to find the city in the midst of a fever epidemic, where he grew weaker with every passing day. His increasingly fragile state caused great distress to both the composer and his wife, Constanze, yet he worked on, labouring over the Requiem that was to be his final work. He became increasingly distracted by thoughts of death, his condition worsening quickly until, on 20th November, he took to his bed and stayed there. Mozart's physician, Thomas Franz Closset, was called to his side and found himself unable to make a diagnosis, settling instead on bleeding the ailing composer. However, there was to be no respite and Mozard suffered vomiting and terrible pain throughout his whole body, swelling to the point that he could barely move. Wracked with agony, he confided in his wife that he believed he was being poisoned, though no evidence has ever been found to support these claims. Mozart was nursed day and night by Constanze and her family, who did all they could to try and make him just a little more comfortable. Still he worked at the Requiem, supervising rehearsals that were held at his bedside and giving notes to performers as well as he could. In private he confided to Constanze that the Requiem was to be for him, sure now that death was near. More than a fortnight after he retired to bed, Mozart drew his last breath at 1.00am on 5th December 1791, with Constanze at his side. The new widow was overwhelmed by grief and despair, refusing to leave her husband for many hours. Eventually though Constanze was coaxed away and Mozart was buried in a common grave at the Cemetery of St Marx on 7th December. Much has been made of the grave in which the composer was laid to rest but it was far from a pauper's grave, nor did he share it with dozens of other unfortunates. A common grave was an individual plot that the city might reuse after a decade and there was nothing unusual or shameful about being buried in one. Indeed, only the most noble were allowed the honour of claiming a grave that wouldn't be reused when space got tight! Memorial services were held in Vienna and Prague for the late composer and his reputation and popularity enjoyed a sudden spike. No definite diagnosis was ever made though his death certificate identifies severe miliary fever as the cause of death though in later years experts have tended to favour rheumatic fever. We may never know for sure what killed Mozart but one thing we can be sure of is that he has become a cultural legend, living on in the music that is his legacy. If the graves were reused, what did they do with the former occupants? And, did this mean that there were no headstones or coffins? I had always assumed that common graves were mass graves used during times of epidemics. So, thank you once again for a nice bit of insight. Thank you! I can't speak specifically for Mozart's body but I picked the brains of a historian colleague of mine when researching and she explained a little more about the process. Basically, after a period of years, another occupant could be put in the grave in addition to the existing occupant or, sometimes, older skeletons were reburied in a mass grave, often after being crushed to make them smaller. Generally headstones weren't erected on a common grave but if they were, it would be set against the church wall and the coffin destroyed. If anyone has any more information on this, I would be intrigued to hear it! Sometimes older bones to be disinterred and placed in a charnel house -- a structure in the cemetery built just for this purpose. When there were headstones, they might be set into the outer walls. Thank you for that extra insight, fascinating stuff! Thanks for this great post MG. I always thought that Mozart had a pauper's grave so its nice to know that this great genius wasn't just dumped in a hole. This post makes me think of the /film Amadeus! I must watch that again sometime! It is a wonderful film, isn't it? Mozart being buried in a pauper's grave is an oft-told tale, I'm so glad it isn't true! Sounds to me he could have Kidney Failure, Renal Disease. Read your post while listening to a Mozart string quartet, Catherine. For me, Mozart is in the pantheon of music gods. Oh, that's an interesting theory! Considering that death and burial rites play an important part in Viennese culture even nowadays, it's no wonder that there is a Viennese burial museum, situated in the Central Graveyard (which didn't exist in Mozart's time - he was buried in St Marx). 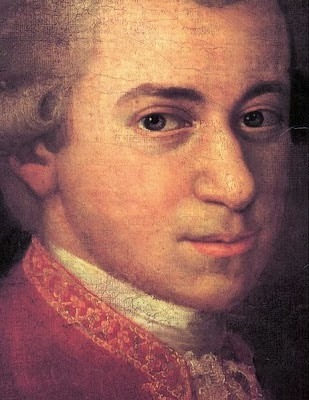 Mozart's burial was according to the laws of the time, Emperor Joseph II having banned lavish funerals. He'd felt that sobriety would be more fitting for the occasion. Though by the time Mozart died, Joseph had already been dead for a year or so, and as far as I know that particular law didn't last long because the people wouldn't stand for it. There is a specimen of a reusable coffin from that era in the burial museum. It was only used for the funeral; after that they'd open it at the bottom so the body stayed in the grave while the coffin was taken out. I think it was Joseph II too who banned burials within the city walls (which were then still in existence) for reasons of hygiene.